Sarath Davala, Renana Jhabvala, Soumya Kapoor Mehta, and Guy Standing. 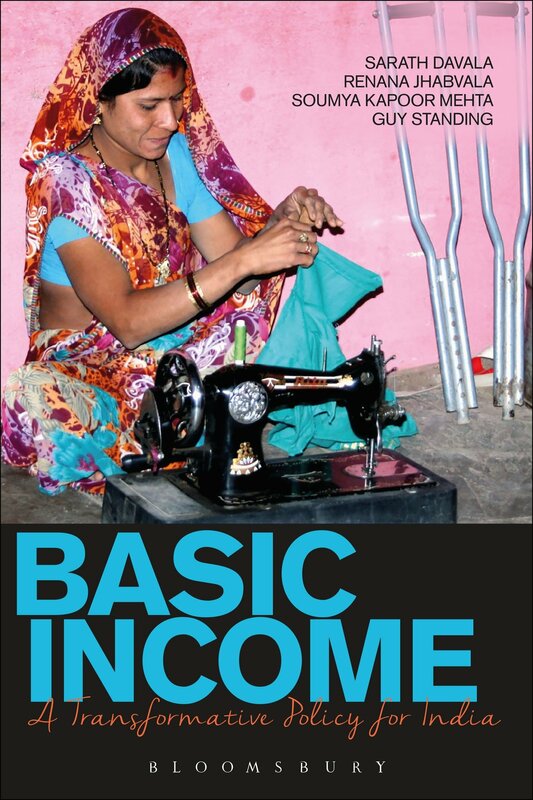 Basic Income: A Transformative Policy for India. PUBLISHER’S SUMMARY: Would it be possible to provide people with a basic income as a right? The idea has a long history. This book draws on two pilot schemes conducted in the Indian State of Madhya Pradesh, in which thousands of men, women and children were provided with an unconditional monthly cash payment. In a context in which the Indian government at national and state levels spends a vast amount on subsidies and selective schemes that are chronically expensive, inefficient, inequitable and subject to extensive corruption, there is scope for switching at least some of the spending to a modest basic income. This book explores what would be likely to happen if this were done. The book draws on a series of evaluation surveys conducted over the course of the eighteen months in which the main pilot was in operation, supplemented with detailed case studies of individuals and families. It looks at the impact on health and nutrition, on schooling, on economic activity, women’s agency and the welfare of those with disabilities. Sarath Davala, Renana Jhabvala, Soumya Kapoor Mehta, and Guy Standing. Basic Income: A Transformative Policy for India. New Delhi: Bloomsbury Publishing India, December 2014.